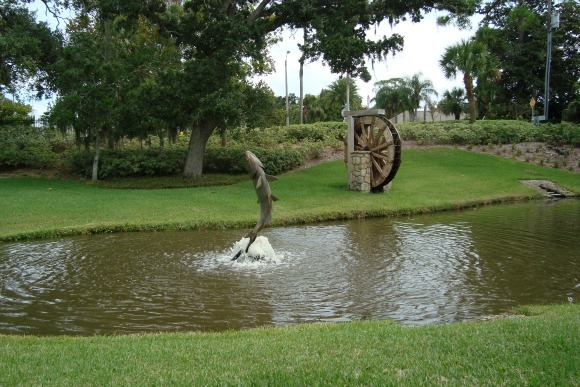 Ormond Beach is the first town north of Daytona Beach on Florida's east coast. Part of the town is on the mainland and the rest is across the Halifax River on the Atlantic Ocean barrier island. Ormond has grown to almost 40,000 people and was once known as "The Birthplace of Speed" because of the first auto races that were held on the hard packed beach in 1902. Early racers included Henry Ford and Ransom Olds. These beaches also made Ormond popular with rich Yankees during the surge in Florida tourism after the Civil War. 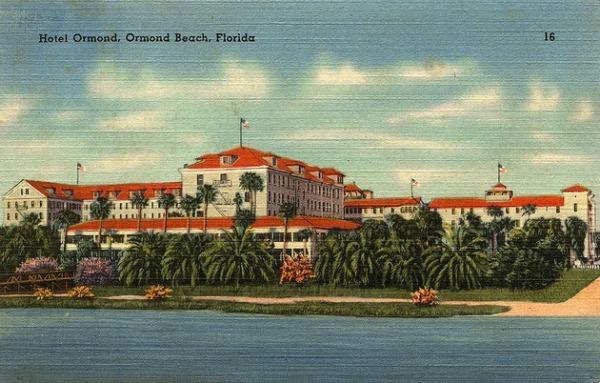 John Anderson and James Downing Price built the beautiful Ormond Hotel, shown above in the postcard. Henry Flagler bought it in 1890 and expanded it to serve the passengers on his railroad. The hotel was listed on the National Register of Historic Places in 1980, but couldn't survive the wrecker's ball and was torn down in 1992. Anderson is still honored with his name on the long tree canopied drive that runs from the hotel site north along the Halifax River for many miles. Although it's sad that the grand old hotel was torn down, at least it has been replaced by a modern condominium that tried to preserve some of the architectural ambiance of the original. The community and its developers have been consistent in trying to preserve some of the historic beauty of old Ormond Beach. For example, the heart of old downtown Ormond is West Granada Boulevard. This is the eastern end of State Road 40 that leads from shoreside Ormond across the Grenada Bridge to beachside Ormond. Many of the old buildings along this stretch have been renovated. 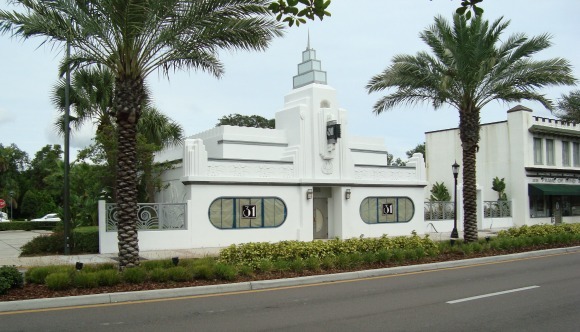 An example is a vintage art deco building at 31 West Granada being currently remodeled into a Roaring Twenties type of bistro, upscale restaurant and nightclub. Other buildings along this street have also been renovated and put to good use as shops and restaurants. City Hall is also in this neighborhood. Although it is a beautiful modern complex it fits in well with its historic surroundings. One of the early guests at the Ormond Hotel was John D. Rockefeller. Henry Flagler had been his original partner in Standard Oil Company. 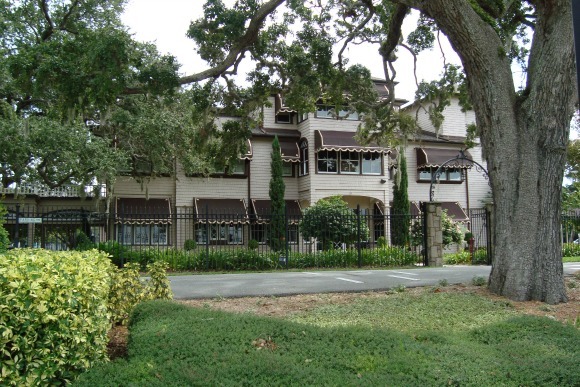 After wintering in Ormond for 4 seasons, Rockefeller bought an estate named The Casements across the street from the hotel. He stayed here every winter for the rest of his life. His heirs sold the estate in 1939, but the City ended up buying it in 1973. It now serves as a community and cultural center. It is located on the east side of the Halifax River. It is open to the public for tours and other events. 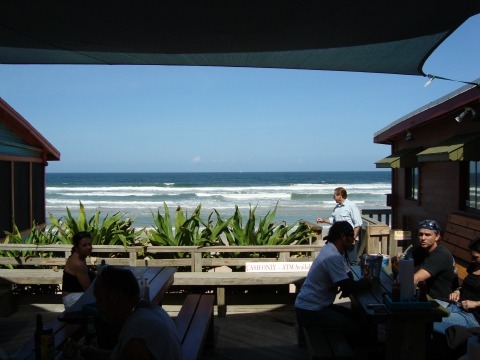 Ormond Beach has a lot of the oceanfront advantages of neighboring Daytona Beach. It has managed, however, to keep it more quiet and peaceful. 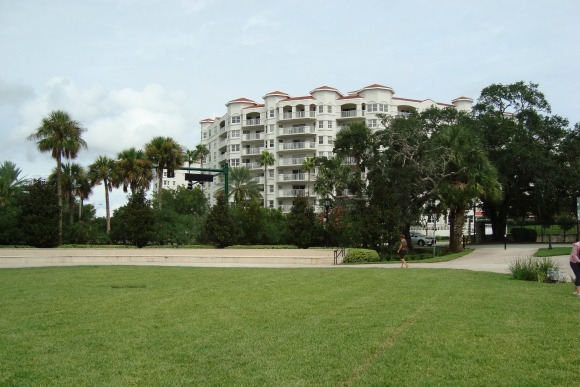 A good place to meditate is the garden in front of The Casements along the Halifax River. Snack Jack has been at this same beachfront location since 1947; that qualifies it as an Old Florida eating establishment. It is directly on the ocean and just about every booth or table has a view of the ocean. There is also outside dining. It's pretty hard to get closer to the ocean while dining unless you pack a picnic basket and go sit in the surf. The menu is what you'd expect of a seaside place; lots of seafood dishes, conch fritters, beer, wine, salads and a large assortment of meal options ranging from sandwiches to complete "surf side dinners". The kitchen knows how to steam, grill, blacken and prepare all kinds of food the way you like including the good old frying method. They also have good salads. Although this place has always been known as Snack Jack, the most recent owners wanted to change the name to High Tides. Their sense of history prevailed, and they came up with the compromised name of High Tides At Snack Jack. They did not compromise, however, on the original charm that has made Snack Jack such a favorite. The minute you walk inside the rambling rustic building, you will feel like you've been transported to a surfing museum. 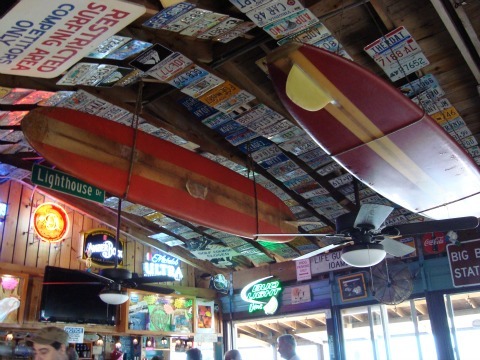 The walls and ceilings are festooned with all kinds of interesting objects including surf boards. It's a very pleasant visual experience. The main dining room also has a small bar that is inviting to the diner who likes to eat at the bar or just have a drink. Snack Jack is a very popular place, especially on weekends. If you want to park on the restaurant property, you will have to use valet parking. There is also parking along the side streets on the west side of Highway A1A. Don't dress up to go to Snack Jacks. Tee shirt, shorts and flip flops are always in style here.